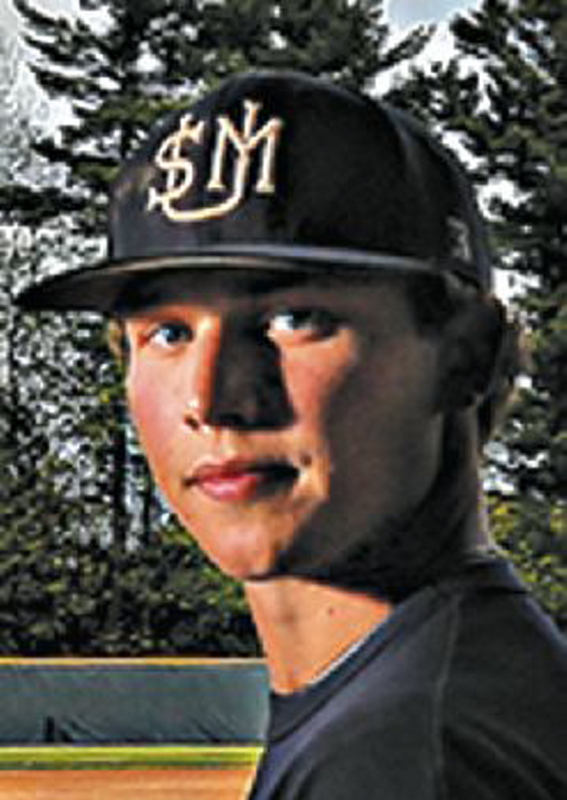 The Messalonskee graduate is playing for the Sanford Mainers in the New England Collegiate Baseball League. Facing pitchers who routinely throw the baseball 90 miles per hour. Swinging nothing but an unforgiving wooden bat. That’s Sam Dexter’s summer. The Messalonskee High School graduate and shortstop at the University of Southern Maine is playing for the Sanford Mainers of the New England Collegiate Baseball League, and he hopes the challenges he faces on the diamond this summer make him better when the Huskies play next spring. The Mainers entered Tuesday’s game in with an 18-12 record, good for second place in the Northern Division of the NECBL. The Mainers are 2.5 games behind the first-place Vermont Mountaineers, and 3.5 games ahead of the third-place Laconia Muskrats. In 25 games with the Mainers, Dexter is hitting .244, with three runs batted in and nine runs scored. He’s tied for second on the team with five stolen bases. Most of Dexter’s teammates, as well as most of the players in the NECBL, come to the league from Division I programs. Power conferences, including the ACC, SEC, Big 12 and Big 10, are represented on the Mainers’ roster. Dexter is one of two Division III players, along with Windham native Cody Dube of Keene State, on the Mainers’ roster. Dexter earned all-ECAC honors playing for USM this past season. He led the Huskies with a .382 batting average and scored 49 runs while driving in 33. Dexter was named all-Little East Conference for the second straight year. When USM returned from the Division III College World Series in Appleton, Wis., Dexter had little time off before reporting to Sanford. In a recent 6-5 loss to the Mystic Schooners, Dexter led off and went 1 for 4 with two runs scored. The biggest improvement Dexter has seen in his game this summer is on defense. Dexter hasn’t played one inning of shortstop for the Mainers, spending all his time at second or third base. “Playing those different positions can help you understand the game in different ways,” Dexter said. The regular season ends on Aug. 2. Four teams in each division make the playoffs, which are best of three series throughout the tournament.